Apple Mac malware is a growing problem that could potentially have a serious impact on your business. But with the right kind of help from Them Digital it's a risk that can be easily minimised. Find out more about this threat and how we can help. Viruses and Worms – These are pieces of code which get onto your computer via files, or over a network. When they run, they can cause a wide variety of effects, but typically try to delete or corrupt system files, or run programs that result in your computer not working properly or not working at all. One particularly well known type of virus (malware) is a Trojan, which is often disguised as legitimate software but designed to give someone access to your computer, allowing a hacker to carry out further disruption at will. Botnets – This is a more advanced form of virus or worm, in which a whole group of interconnected computers are infected at once, and allows a 3rd party to control them all. A "botnet" (derived from "robot" plus "network") can be used for a variety of purposes including sending spam email or directing web traffic to a website being targeted in a "denial of service" attack. The email or traffic, when investigated, appears to have come from the hijacked network, which can result in the owner being suspected of malicious online behaviour. Adware – The purpose of adware is to allow a 3rd party to display ads on your computer screen in such a way that you cannot avoid them. Generally, Adware doesn't harm your files or your computer, but the ads can be frequent, highly intrusive and very often distinctly "workplace unfriendly". Advertisers who provide content for adware are very likely to be those who find it hard to advertise through more conventional channels – we'll leave the details to your imagination. Even if your employees don't object to being exposed to this type of ad all day, imagine trying to conduct a client presentation, or even bidding for a contract, with uncontrollable adverts popping up every few seconds. Spyware – Spyware generally doesn't do direct damage to your computer. Instead, its purpose is to gather information for use by a 3rd party. This might include harvesting email addresses (your own or your clients'), credit card or bank account details, passwords, web browsing history and so on. Spyware is one of the most difficult types of malware for a user to detect themselves, as it doesn't do anything to alert you to its presence. Scareware – Scareware is a type of malware whose purpose is to scare a computer user to take a particular action. Typically, the scareware appears as apparently legitimate looking popup messages or screens, instructing the user to take action, such as downloading a piece of software, or making a purchase with a credit card, in order to "avoid" a damaging outcome (e.g. "download this software to protect your computer"). Sometimes the creator's goal is simply to make money by having you make an unnecessary purchase. In other cases, they want you to download another piece of malware which is able to carry out harmful activities; or the credit card information is harvested for use by a 3rd party. Ransomeware – Ransomeware is a hybrid of scareware and a virus. This type of malware prevents the user accessing their own files, by encrypting them. It then displays a message to the user, demanding immediate payment in order to have the files decrypted. It was WannaCry ransomeware which caused havoc within the NHS and many other organisations worldwide, in May 2017. Is Apple Mac Malware a Problem? The vast majority of malware is designed for Windows PCs and will not affect an Apple Mac (although you could unknowingly be a "carrier" if you receive a malware file and then send it to a Windows PC users). However, this does not mean that Apple Mac users can ignore the issue of malware. There are a number of malware strains that have been specifically aimed at MacOS machines. Some date back to 2004 (e.g. OSX/Opener, aka Renepo), and there have been a dozen or so more created in the last few years, including the Flashback Trojan (2011). And in 2016 we saw the first Apple ransomeware, KeRanger. When assessing your vulnerability to viruses and other malware you need to consider not just the current level of threat, but the likelihood of new threats arising. While the malware threat level for Macs is much lower than that for PCs, it is not zero. Sadly, it is probable that the recent high-profile "successes" of ransomeware worldwide is likely to inspire yet more virulent versions over the next few years. For many of our London clients working in the media industries, the large video and graphics files stored on Apple Mac computers can represent weeks or months of creative effort which may be difficult or impossible to replace. As well as endangering your own computers, if your business involves sending files back and forth to different clients, you risk passing on malware to those clients' computers – or having it passed to you. Mac Hygiene – A critical step is to ensure that everyone in your business, from the directors to the receptionist, are educated about the problem of malware and practice good "hygiene". This means putting in place policies which avoid, for example, inserting unknown memory devices into company computers, making unauthorised downloads and so on. It also means educating everyone about what signs and symptoms to look for, and know what to do (and what not to do) if they think they have malware on their computer. We can help advise you on what policies to put in place within your business. Installing Malware Protection – Anti-virus software is an absolute must and should be seen as being as essential as protecting the physical security of your office premises. You need software that will prevent malware from getting onto you system (e.g. with a firewall and email scanning) and take action to neutralise the threat if something does manage to infiltrate. Them Digital are authorised resellers of ESET, which provides comprehensive protection against all known types of malware and constantly monitors for new threats and updates itself to keep customers protected. One big advantage of ESET is that it covers Windows computers too – so if your business uses a mix of PCs and Macs, it can deal with that. Expert Support – As well as making sure that ESET is correctly installed on all applicable devices in your business (don't forget, your iPhones and iPads need protection too), we can provide hands on help in the event of a suspected or actual malware attack. Taking the correct action promptly can make the difference between a near miss and a disaster. 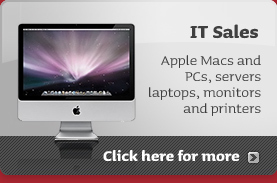 As Mac support specialists we provide contract and ad hoc support for many businesses in the Central London area and are able to visit you in-house to assess a problem and take necessary action. 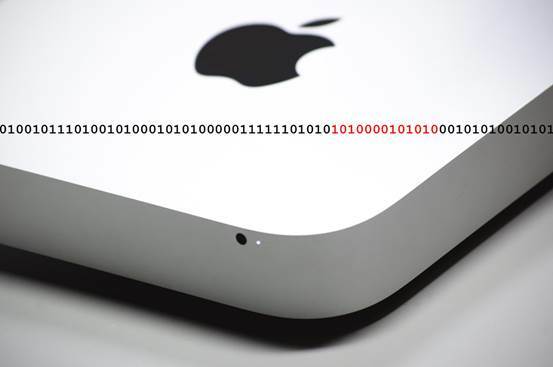 Apple Mac Malware Protection – Contact us today for more information or to arrange a visit.